Snell Motor Companies began serving the Dallas community in 1973. They were awarded one of the first Land Rover franchises in the country as well as one of the first to build the free-standing Land Rover Centre concept. 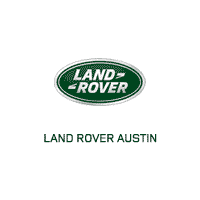 They continue to be one of the largest Land Rover dealerships in North America. They have earned more than 15 Pinnacle Awards for outstanding performance in customer service, sales, and business excellence. Owning a Land Rover is unlike owning any other vehicle on the planet. Engineered with a rich heritage of off-road excellence as well as on-road performance, these exceptionally well-traveled machines invite you to escape and unearth new experiences. Our dedicated sales staff is here to answer any and all questions to help you find the vehicle that best fits your needs.